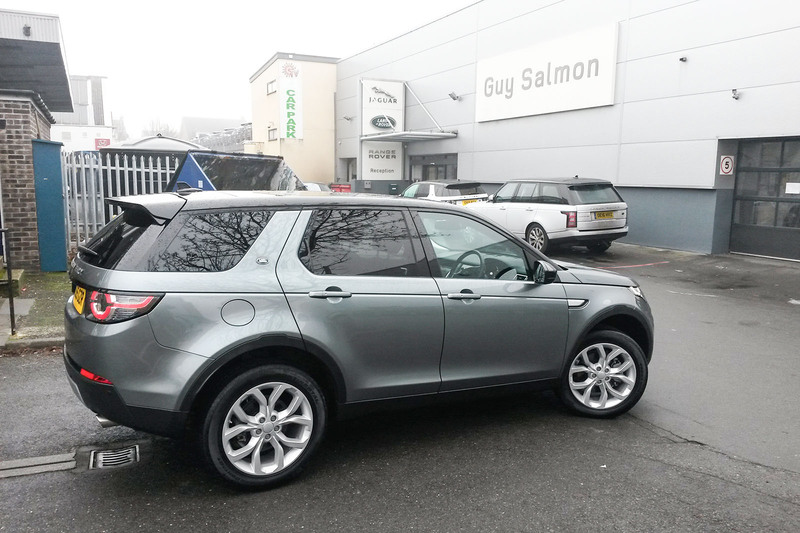 The suspension creak mentioned in a previous report was proving too persistent to ignore any longer, so I rang up our nearest dealer, Guy Salmon Land Rover Thames Ditton, to book the Discovery Sport in for a check-up. Even that simple task didn’t go all that smoothly, with unanswered phones in the service department and failures to call me back, but eventually we arranged for the car to be collected from my house, leaving me with a Jaguar XE courtesy car. In addition to the creaky suspension, I asked Guy Salmon to investigate a clonk from the rear that seemed to be linked to body movements in corners and over bumps. The car was returned just 24 hours later, but it didn’t take long to realise that the creak hadn’t been fixed. The dealer report – which I had to collect in person, despite asking for it to be emailed to me – said they checked the suspension components on a ramp, but there was no suggestion that they’d done anything to remedy the creak. They appeared to spend more time fixing the clonk from the rear, by adjusting the tailgate catch and resecuring an internal wiring harness in the tailgate. Those efforts, at least, were successful. In hindsight, I should have taken the car to the dealer myself and gone for a test drive with a technician to demonstrate the creak first hand. I thought it would have been obvious – one speed bump should have done the trick – but I’m assuming they didn’t hear anything during their road test. It’s one downside to having a dealer collect your car, I guess. The dealer’s performance this time may not have been faultless, but I did feel some sympathy for the service department, which is no doubt rushed off its feet, given how many Land Rovers are sold these days. And the car itself is so good to live with that I’m having trouble getting too worked up about the experience. After rather hesitantly getting to grips with topping up the Discovery Sport’s diesel exhaust fluid (DEF) for the first time in July, I felt much more confident when the warning message popped up again recently. I wasn’t going to repeat my previous mistake of buying several relatively expensive 1.5-litre bottles when I knew the DEF tank on our car had a capacity of 13.7 litres. This time my plan was either to ask a Land Rover dealer nicely to top it up (it’s free if you have a service plan) or do it myself once again but buy in bulk. After playing phone tag with our closest dealer’s service department for a couple of days and getting nowhere, I realised it would be easier to carry out the task myself, so I paid a local service station (Esso, as it happens) a visit and came home with a 10-litre container of AdBlue that cost £13. It came with a fairly basic screw-on plastic flexi-funnel that dripped a tiny bit of surprisingly odourless fluid onto the engine cover, but the exercise was no more difficult than topping up the windscreen washer tank, with a lot less faffing about than the previous time. 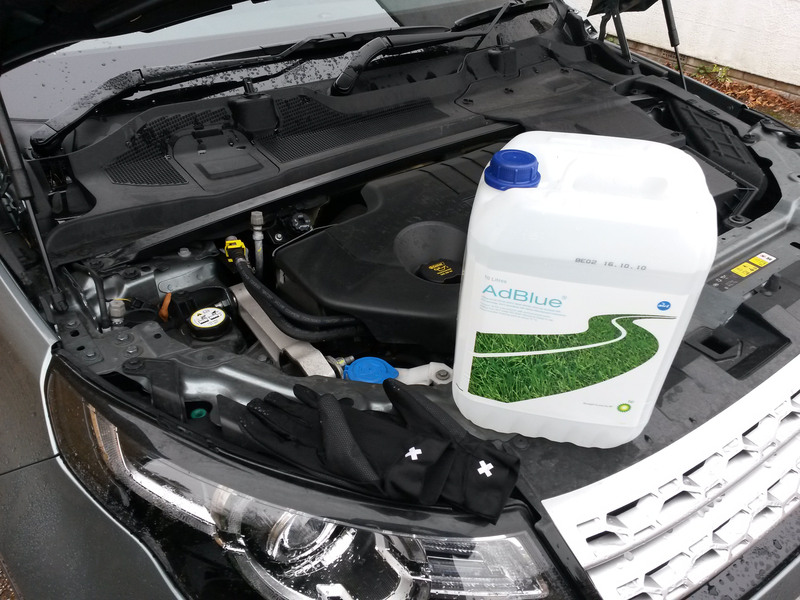 With 10 more litres of AdBlue in the tank, the DEF range indicator has shot up to 12,800 miles, so the car should be happy for at least the next six months. 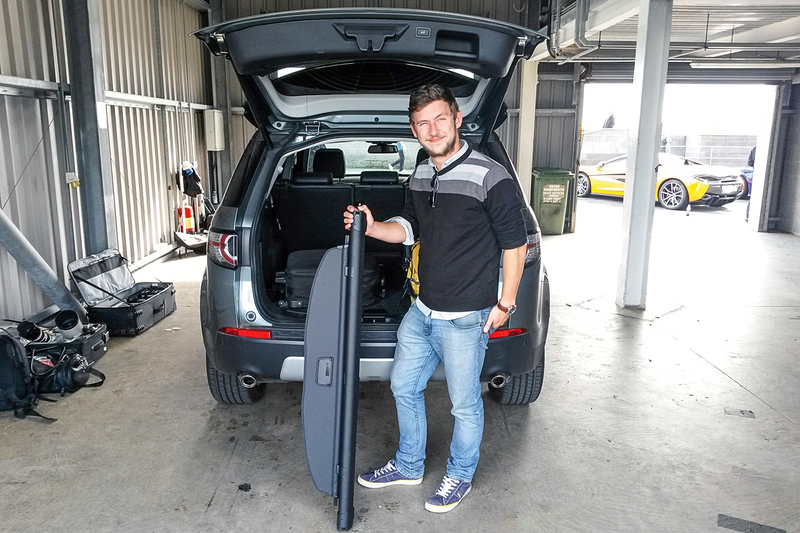 One issue when carrying six or seven people in the Discovery Sport is that you have to leave the retractable load cover behind. That won’t be a problem for most owners, but we managed to misplace ours for several weeks while the car bounced from one member of staff to another. There were four possible culprits. Vicky Parrott, the last person to drive the car before I noticed anything was amiss, swore blind that the cover wasn’t there when she collected it. The other three suspects also pleaded ignorance at first. Then, just as I was finding out how much a new cover would cost, picture editor Ben Summerell-Youde found it in his flat, stuck in a corner behind a bookshelf. The company should be renamed 'Road Rover' as they are clearly embarrassed by their off road heritage. erm eseaton, can you explain why they are 'clearly embarrassed by their off road heritage'? What? Not on first name terms with the dealer? With LR's reliability reputation I'd assumed the dealer would be on every driver's speed dial, the receptionist would be your first born's godparent, etc etc. "The suspension clonk is to tell you it's still there, sir"
- The Defender has been pushed out of site. - They do not make a product suitable for a Welsh hill farmer to carry his dogs and the occasional sheep in. Neither do they make a product suitable for use by Longleat Safari Park. Nor any safari operation in Africa for that matter. - The utilitarian qualities of Discovery have completely disappeared, to be replaced by yet another subtle variation on the Range Rover. No wonder LR consistently languishes at the bottom of reliability and customer satisfaction surveys. Shocking quality and poor customer service continues. What amazes me is that Autocar let's them off the hook somewhat. This is a £40k car - if it was my money I'd be seriously cheesed-off. Luckily (for Haymarket) Autocar gets these cars for free. Sounds like they carried this little 'characteristic' over from the F-Pace. Pity they didn't pick it up while driving all those winter and hot weather testing miles in different parts of the globe. Hey-ho. What do you expect for £40k? Hope they sort it before letting the Vulvar loose. "it’s free if you have a service plan...phone tag with our closest dealer...couple of days and getting nowhere". So the only relevant take away is that Land Rover dealers are not very good? any dealer worth their salt would have happily topped it up for a little bit of free advertising, obviously not, perhaps JLR are getting a bit above themselves and think they dont need it.